below are the answers to all questions. 1. You mentioned thatyou used 3 strips. Were all of these using the standard provided with the kit? What results did you obtain with the other 2 strips? For the time , i did run only 3 strips ( 2 forstandardsand one strip for 4samples), there are the result which i had..
AND THE SECOND TIME I DID RUN ONLY 1 STRIP ( THE STANDARD ONLY ), i have emailed you the results that i had for this time. 2. Were all reagents allowed to come to room temperature before use? YES, all reagents allowed to room temperature before use. 3.Exactly how was the standard prepared and diluted? What diluent was used? because i used a human sample (serum) so i used the standerd diluent : human serum which is ready to use ( no need to dilute ). 5. Was the TMB solution protected from the light? Yes it was in the kit's box, i only took it out of the box before use it and i did protect the plate from the light by wrapping it withaluminumfoil. of Biotinylated Antibody diluent in a clean glass tube. 8. How was the Streptavidin-HRP prepared? i add 200µ from Diluent and 2µ from HRP. 9. Were the strips covered during the 3 hour incubation of the biotinylated anti-IL6? YES they were covered. 10. Was the HRP solution prepared directly prior to use? yes it was prepared immediately before use. 12. The wash steps you refer to, after which steps werethese performed and exactly how did you perform them? exactly as its written in the manual protocol, by tapping the pale on absorbent paper. I am not entirely sure why you are seeing such low readings. It is likely to do either with the standard itself or with the detection (antibody and HRP conjugate). What I would like to do if you wouldn't mind is provide you with a replacement kit free of charge to see if the kit has been damaged in any way. This is very uncommon but as I can see no problem in how you have been using the kit I would like to rule this out before trying some optimisation or the protocol. If you would like for me to do this could you please provide me with the order number (or delivery address and approximate date of delivery) and I will have this arranged as soon as possible. 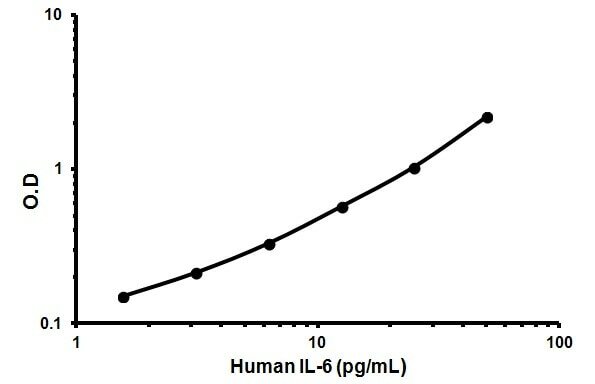 i have orderd IL6 HUMAN ELISA kit (ab46042). Although i have followed the manual protocol, i got these low measurment. i am wondering if you could suggest a way to optimize it. May be i should not wash 3 times, is that right? 1. You mentioned thatyou used 3 strips. Were all of these using the standard provided with the kit? What results did you obtain with the other 2 strips? 2. Were all reagents allowed to come to room temperature before use? 3.Exactly how was the standard prepared and diluted? What diluent was used? 4. When washing, was the excess liquid removed by aspiration or tapping plate on absorbent paper? 5. Was the TMB solution protected from the light? 6. What colour was the TMB solution before adding to the wells? 7. How was the biotinylated anti-IL-6 prepared? 8. How was the Streptavidin-HRP prepared? 9. 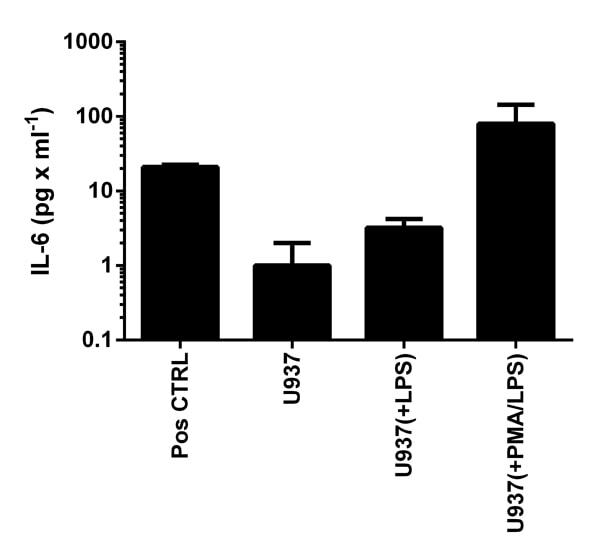 Were the strips covered during the 3 hour incubation of the biotinylated anti-IL6? 10. Was the HRP solution prepared directly prior to use? 11.At whatwavelength was the absorbancemeasured? What kind of reader have you been using? 12. The wash steps you refer to, after which steps werethese performed and exactly how did you perform them? I am sorry for all the questions but I am hoping to be able to understand what may be contributing to the low readings you have been observing with the standard. If possible could you also provide me with the order number or the approximate date of delivery and the delivery address? I thank you for your cooperation and I look forward to receiving your reply. Can you please check if the below kits can be used for biological fluids , i.e in Urine ? Those kits are suitable for all body fluids, so urine is applicable. Thank you for contacting us. I apologise for the delay. Unfortunately any of these kits have been tested with human ascites. However, they should work as they are suitable for all body fluids. The only problem I would suspect is the high concentration of IgG in ascites which can interfere with the ELISA. I would suggest diluting samples 1:2 or 1:5 to minimize the matrix effect.